The RDA has a very experienced team that is comprised of local and international professionals. This team will deliver a programme of ambitious projects in a timely, transparent and cost-effective manner spanning Infrastructure, Human and Social Services, Business and Economy, Governance and the Environment. 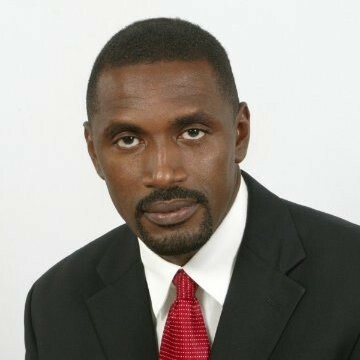 Paul is currently the Chief Executive Officer of the Virgin Islands Recovery and Development Agency. The Agency is a statutory authority that was established in April 2018 to implement the British Virgin Islands Recovery and Development Plan in response to Hurricanes Irma and Maria of 2017, which caused at least US$2.6bn in damages. Prior to taking up this role Paul was the Permanent Secretary of the Ministry of Infrastructure and Transport that played a leading role in the recovery of Fiji’s infrastructure following the category 5 Tropical Cyclone Winston that hit Fiji in early 2016. TC Winston caused over US$3.5bn in damages. Paul commenced his career as a banker and has extensive international experience with Citibank and Midland Montague before jointly establishing a private investment bank with offices in Australia, Singapore and New Zealand. Paul has worked for a number of United Nations agencies, including FAO, UNDP and was a member of UNOPS infrastructure advisory panel. Paul is a retired Colonel in the New Zealand Army and has undertaken operational tours in Syria, South Lebanon and Timor Leste. Paul has completed the Harvard University Kennedy School of Government Senior Executive Fellowship Programme in Public Administration and Management and has degrees from the London School of Economics and Massey University. Paul has undertaken a number of explorations and is currently involved in planning the Phoenicians Before Columbus Expedition 2019 that involves sailing a reconstructed 600BC boat across the Atlantic. He is the author of David Livingstone, Africa's Greatest Explorer and is a Fellow of the Royal Geographical Society, London. Anthony S. McMaster is an enthusiastic and motivated BVIslander who prides himself in serving others. He believes that the purpose to life is to add value to every individual you may encounter. Anthony has over ten years of experience in the telecommunications industry with Cable and Wireless West Indies culminating as a Caribbean Networks Operations Centre Accountant. In 2002, he joined the Government of the Virgin Islands with the Ministry of Health and Welfare as the Finance and Planning Officer. After 10 years, he transferred to the Ministry of Communications and Works in 2012. He was subsequently promoted to Permanent Secretary. Anthony is now seconded to the Recovery and Development Agency (RDA) in the role of Director of Operations. Anthony has a diploma in accounting from the Association of Accounting Technicians (AAT) and progressed to complete his professional exams with the Association of Certified Chartered Accounts (ACCA). He was trained in project management and administration with the Royal Institute of Public Administration before pursuing further training in management with Manchester Metropolitan University from which he holds a Post Graduate degree in Management. Anthony McMaster led teams in the development of many national projects including the New Peebles Hospital and the Cyril B. Romney Tortola Pier Park. Anthony has a passion for construction, fishing and socializing with family and friends. Darlene Forbes’ professional career comprises 16 years as an educator in Business and Office Education at the secondary level and 13 years in Business Administration in the Public Service. Darlene holds an Associate of Arts degree in Business and Office Education from the Hillsborough Community College in Tampa, Florida; a Bachelor of Arts degree in Business and Office Education from the University of South Florida, Tampa, Florida; a Master of Education in Instructional Technology from the University of South Florida in Tampa, Florida; a Level 5 Diploma in Business Management from the Chartered Management Institute at the H. Lavity Stoutt Community College; and a Level 7 Executive Diploma in Business Management from the Chartered Management Institute at the H. Lavity Stoutt Community College. Darlene is the recipient of the Public Service Award for Exceptional Service and is a Commissioner for Oaths. Denise Stabler is a construction professional with extensive property development and construction management experience both in the UK as well as the Caribbean region. Denise has fulfilled the roles of Chief Project Manager, Development Coordinator, Contracts Manager, Senior Project Manager and Contract Administrator on a wide range of major building and civil engineering projects including high-end residential developments, offices & retail, hospitals, luxury hotels & golf resorts, law courts, schools, sports stadia and infrastructure projects including roads, bridges, pipelines and water and sewage treatment facilities. Denise is a Fellow of the Royal Institution of Chartered Surveyors and is a Chartered Quantity Surveyor, a Chartered Project Management Surveyor and an associate member of the Chartered Institute of Arbitrators. Denise earned a Diploma in Quantity Surveying from the College of Estate Management as well as a Master’s Degree in Construction and Project Management from Heriot-Watt University. Joceran has a wide range of experience in the of infrastructure, primarily in construction delivery but more recently he has had experience of infrastructure strategy and planning. His experience in these roles is predominantly in the military sector, however as a professional engineer he has experience on a range of projects in a variety of locations including in Australia, the Middle East, Africa, Europe and the Caribbean. John Primo is a senior procurement professional and Head of Procurement at the Virgin Islands Recovery and Development Agency (RDA). He has extensive experience in procurement and provides operational oversight and leadership, and effectively direct, coordinate and strengthen procurement management functions across multiple projects. John is a Guyanese national and has several years of experience working with the Inter-American Development Bank (IDB), Caribbean Community (CARICOM) Secretariat and the Guyana Sugar Corporation. Before taking up his appointment in the British Virgin Islands, John was elected to serve in the capacity of Chairperson of the Guyanese Association in Belize for the period 2018 – 2020 having served as an executive member of that association since February 2015. He was also credited with hosting Belize’s first procurement fair which attracted local, regional and international participation in October 2016 and showcased business opportunities in excess of US$231M across 14 projects financed by the Inter-American Development Bank (IDB), World Bank and Caribbean Development Bank (CDB). John also secured international certifications for 80% of the government of Belize public officers involved in contract, procurement and financial management; and raised the pass rate from 92% for Level Two to 100% pass rate for Level Three certification of the Chartered Institute of Procurement & Supply (CIPS) certification. John was instrumental in developing procurement training programs and conducted training workshops tailored for British Virgin Islands public officers involved in procurement as well as procurement training for contractors and suppliers on the various aspects of the tender and contracting processes. As Head of Monitoring and Evaluation at the RDA, Kinisha Forbes maintains a laser-focus on results. Kinisha has been at the forefront of results-monitoring and advice in the public sector, including overall performance monitoring and management. Immediately prior to employment with the RDA, Kinisha was Head of the Macro Fiscal Unit, and worked as a Policy Analyst in the Ministry of Finance for seven years. In this role, Kinisha led the Government’s macroeconomic and fiscal forecasting, research and policy analysis programme. This included preparation of the annually-updated Medium Term Fiscal Plan, and reform of Central Government’s planning and tracking frameworks to be more results-focused. Prior to this, Kinisha was employed as a Research Officer with the International Labour Office (ILO) in Geneva, Switzerland. At the ILO, she conducted research on impacts of the global economic crisis on inequality and vulnerable groups, specifically analysing the role of public policy in cushioning crisis impacts. Kinisha holds a Master’s degree in Social Policy and Planning from the London School of Economics and Political Science, and a Bachelor’s degree in Sociology, Women’s Studies and Spanish from Georgetown University. Her research interests include inequality, fiscal space for public investment, and the political economy of crises. Matthew is a recovery planning expert with more than 25 years of experience in this sector. Matthew graduated from Oxford University with a BA and MA Hons degrees in geography, with a specialization in economic and social impacts of tourist development on island states. He also holds an MSc degree in international development from the University of London, with a specialization in capacity building. Matthew has led the development and delivery of national recovery programmes in more than 28 countries on behalf of the UK government, United Nations, European Union, the World Bank and most recently as a founding director of a leading recovery specialist consultancy firm in the UK. He was deployed to the Virgin Islands as a Recovery Adviser immediately after the 2017 disasters but has been a regular visitor to the BVI since 1984. Maxine Stewart is a qualified Accountant. Her career began in 1999 as an Auditor with one of the Big 4 Audit and Accounting Firms, Ernst & Young. Maxine gained her professional qualification with the Association of Chartered Certified Accountants in 2005. Fellowship status was attained with the Association in 2007, having attained the required years of professional experience. Further, she is qualified within Mutual and Hedge Fund Administration, gaining a Diploma with the United Kingdom-based, CLT International. Maxine has performed at senior levels as Financial Controller and as a key component of management structures, providing advisory and assurance services, asserting to meet and exceed performance expectations. 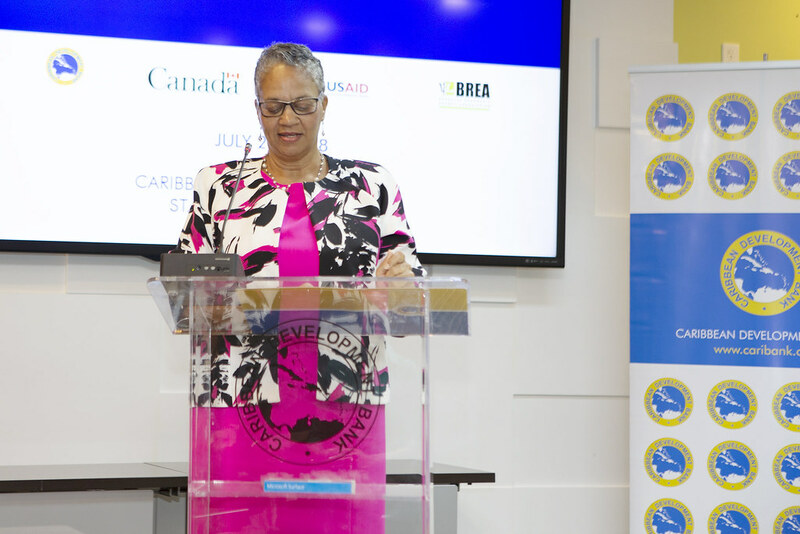 Her career has spanned over various sectors including, Audit, Merchant Banking, Insurance, Funds, Trust, Yachting and most recently with her current role within a Statutory Body of the Government of the Virgin Islands. In her current role, Maxine is the Head of Finance with the Virgin Islands Recovery and Development Agency working with BVI and UK Government representatives, Board of Directors, internal teams and key stakeholders to fulfil the financial mandates of the Recovery to Development Plan of the Virgin Islands. Natasha P. Julius is an HR professional with 23 years of experience working with people and within the intricacies of people management. Natasha holds a Bachelor of Science in Social Work (BSW) from the University of Georgia and a Master’s in Social Work (MSW) from Clark Atlanta University. She is also certified as a Senior Professional in Human Resources (SPHR) and a Senior Certified Professional (SHRM-SCP). She has worked in the private and public sectors in Social Work and Human Resources Management. She is trained in crisis intervention and has served as the Clinical Supervisor for the Partnership for Peace: A Violence Intervention Programme. She is also a member of the HR Committee at her church. Natasha enjoys spending time reading, watching sports and traveling. She also enjoys connecting with other HR professionals and sharing her knowledge and experiences in HR. Neil is a former Generation Engineer of the British Virgin Islands Electricity Corporation, Financial Secretary and Director of International Business for the Government of the Virgin Islands. His interests include economic development and self-sufficiency of small island states as well as governance and political economy in such states. His interests and work on behalf of the Government of the Virgin Islands has taken him around the world in pursuit of facilitating a more sustainable and resilient economy in the BVI. He is a professional engineer, with graduate degrees in finance and international taxation. Thomas Lilleyman MEng MSc MBA MCGI CEng FIMechE is an engineer at heart with a keen interest in renewable technology. Tom has worked in both the Public and Private sector on large scale and highly complex construction projects around the world. Following 16 years as an engineering specialist in the British Army, Tom retired to support the recovery of the British Virgin Islands. Managing Director of the Virgin Islands Financial Services Commission and architect of the well-regulated financial services industry framework. Successful entrepreneur and pioneer of BVI pensions planning and services. Community builder and faith-based leader, entrepreneur and sister island representative. Former Permanent Secretary in the Premier’s Office and Director of Government Relations at Oil Nut Bay, Virgin Gorda. Representative of HE The Governor and the Governor’s Office. 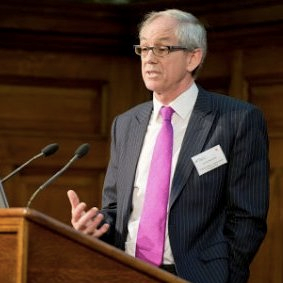 United Kingdom representative and chairman of the UK Government’s Construction Board for the Cabinet Office and the Infrastructure and Projects Authority. Vice President of Operation at the Caribbean Development Bank. Investment banker and military veteran who previously served as the permanent secretary of the Ministry of Infrastructure and Transport in Fiji, during that country’s recovery from a Category Five cyclone.